How to tie the Cider Drinker www.flyfishingpodcast.com (old rubber legs) Jig are killing flies getting down to the river bead and inducing a takes with the vertical rise or bounce techniques. Grayling love them as well as trout. The Tim’s CD is designed to provide that little temptation to get fish to strike. A productive flies a real killer that in small sizes works well with the presentation leader and french nymphing methods. 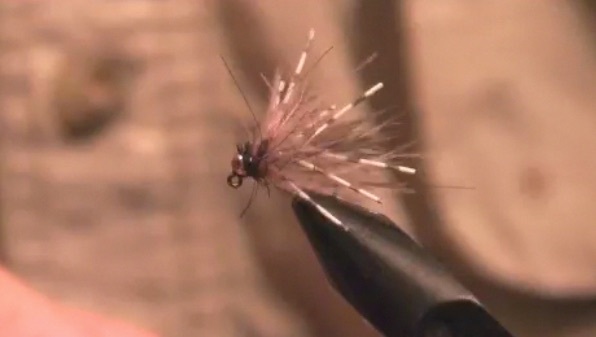 Another nymph to have in your box. Whether it be white fish trout grayling or chub get down deep and in to the zone and let the legsgs do there work! See more at Instagam Flyfishingpodcast or Facebook Fly FIshing follow on twitter @ flyfishingpcast and subscribe here or at iTunes to get podcasts and films. This entry was posted in Blog Posts, Podcast and tagged Fly fishing, Fly Tying, jig. Bookmark the permalink.